Julie Taymor directs the stage adaptation of Disney's hugely successful animated film. When the young lion prince Simba is born his evil uncle Scar is pushed back to second in line to the throne. Scar plots to kill both Simba and his father, King Mufasa, and proclaim himself king. 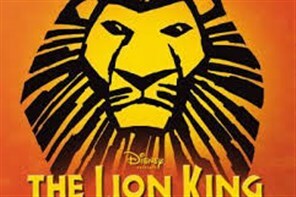 Simba survives but is led to believe that his father died because of him and he decides to flee the kingdom. The appearance of any given artist is not guaranteed as schedule is subject to change and may be affected by contracts, holiday, illness or events beyond the producers control. Suitability and age recommendations/restrictions may apply to selected shows.